Principal analyst at Altimeter Group, Brian Solis has conducted deep research on the effects of emerging technologies on business, marketing and consumer trends. His expertise as a digital analyst, anthropologist and futurist is in great demand to guide brands, celebrities and start-ups through the strategies they need to maximize their market presence in the digital age. Solis has written three books: Engage, which is regarded as required reading for social web marketing; The End of Business as Usual (named a Top 10 Business Book by Publisher’s Weekly), which examined Generation C, the new digitally driven consumers and employees; and his latest publication, What’s the Future of Business (WTF) which explores just how business and customer relationships function in an era of connected consumerism. With a notable online presence, Solis’ blog is ranked in the Top 100 Business Blogs by Technorati and in the top 10 marketing blogs in the AdAge Power 150. His popular online video series, Revolution, concerns new technologies and trends and also features interviews with some of the most important figures in the new commerce. 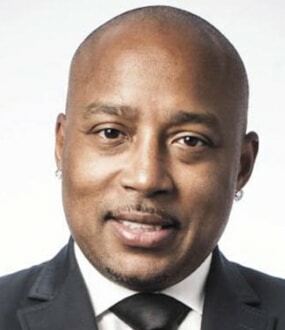 Among those who have appeared on the show are Katie Couric, Mark Burnett, Shaq, Billy Corgan and Guy Kawasaki. Solis’ work appears regularly in such publications as USAToday, Wired, FastCompany, VentureBeat and Harvard Business Review among others. His keynotes and conference presentations are invaluable for organizations wishing to comprehend the realities of connected consumerism and digital lifestyles; he also hosts the annual Pivot Conference for experts in the field to meet and share their knowledge and best practice. CRM Magazine named Brian as an influential leader of, and was the recipient of an Authority of the Year award by SoftwareAdvice. 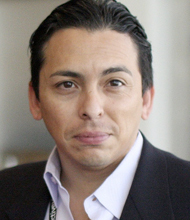 Brian Solis has a huge range of fascinating expert keynote speeches from which to choose. In terms of business leadership and transformation, he can explain just what is happening in the digital world and how your company should adapt to it to remain at the forefront of your market. One of Solis’ specialty areas relates to Generation–C, the connected customers that every company must engage with to succeed in the digital age. Solis’ presentations show just how marketing has to undergo a complete sea of change if it is not to lose touch with this new demographic. Working at the cutting edge of the new media, Solis is ideally placed to explain how innovation and disruption works in the modern world and what it means for your company. He examines the new and very different ways in which forthcoming generations will interact with the world and the cultural and anthropological changes they will experience. WTF is Brian’s newest book that continues the story that unfolded in The End of Business as Usual. Brian believes that the future of business comes down to shared experiences. And it is these shared experiences that can often trump your product or service. In this discussion, he explores the importance of experiential design and how to navigate the evolving landscape of new consumerism—through the lens of digital anthropology. He also walks through four distinct moments of truth and examines how customer behavior unfolds and flourishes in the new world. 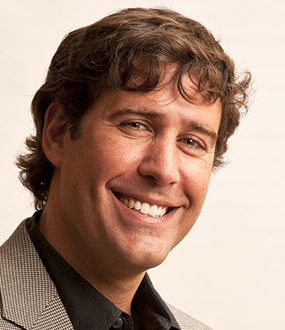 In his previous book, he documents the rise of connected consumerism and the role people play in the future of business. In this presentation, Brian depicts how leadership can survive Digital Darwinism by understanding customer and employee behavior and expectations, disruptive technology, innovative business models, and new opportunities. He also demonstrates best practices and methodologies to align the organization around a common and meaningful vision, strategy, and objectives. While Brian is a leading thinker and innovator around the social business movement, he’s also dedicated further work and research in understanding the pillars rising upon a foundation of digital transformation. These include change management, leadership, and the role of social along with other disruptive trends such as mobile, big data, Millennial behavior, and connected consumerism. Each play a significant in the reshaping of business, relationships and experiences, and the way work is done and Solis will share what the best businesses are doing or need to do to survive Digital Darwinism. Brian studies and discovers affects every stage of the dynamic customer journey. How companies plan for engagement in each moment of truth is largely disconnected today. By becoming a strategic imperative at the C-Suite level, distributed teams and efforts will unite around a new or renewed vision to modernize and lead customer engagement throughout the new dynamic customer journey and in each moment of truth. This work will create new roles starting at the top with someone owning the customer experience a la Chief Digital Officer (CDO) or Chief Experience Office (CXO). While seemingly trendy, this function will unite marketing, sales, service and also IT. New areas of expertise will also be necessary to support these new efforts ranging from experience architects to digital anthropologists to data scientists to cross media strategists. Brian shares what’s happening and what to do about designing and leading customer experiences. Brian will demonstrate how to lead the next generation customer experience, to engage a more connected and sophisticated workforce, and to survive Digital Darwinism, businesses will invest in a culture of innovation. Today, disruptive technology is shaking the foundation of businesses from the outside in and the inside out. It’s not just tech though, people are also a big part of the success or failure of any company and how they engage now is affected by tech. Right now, there’s a notable disconnect between older and younger customers and equally employees. One is held to current standards and workflow (the way things are done). The other wonders why processes don’t reflect the times (the way we buy and work). At the same time, customer preferences are also transforming. Competitors and threats nowadays can arise from anywhere. Mobile, Social Media, Real-Time, Big Data, Wearable, etc. are leading a revolution in marketing, communication, and service. Many leaders today are unclear of the benefits that social media offers. Others see social media as a function of marketing. The focus of this session is to inspire business leaders around new possibilities, demonstrate how social media serves as enablers to business objectives, and show how to improve products, services and customer relationships in the process. “I used to be a champion of new technology. Now, I’m a champion of change.” Many technology champions fight to help their organizations develop relevant digital strategies to improve how companies communicate value to ultimately increase customer engagement. Technology is only one part of story. It’s the lessons learned from these new devices and channels that opens the doors within the organization to improve collaboration and innovation internally and externally. Brian focuses on how to champion change to lead digital transformation where technology and engagement strategies become an extension of a renewed business mission. Social media, as channels, are just part of the bigger picture. The challenge we face today however is that where we invest time, energy and budget assumes that social’s role in the transformation of business is limited to just marketing and customer service or other functions such as HR and recruiting or sales. And even then, businesses continue to struggle with aligning disparate social media strategies across the enterprise. More importantly, we learned that even still, strategists are not integrating business goals into strategy development, which complicates the ability to demonstrate ROI or the promise of it. Brian looks beyond technology and explores the tenants of a social business to create a more human, open, engaging, trustworthy and innovative company. In the study of thousands of social media strategies Brian has learned that only a small percentage of businesses align business goals with social media strategies. As a result, Brian has observed what he calls a “Social 22″ the quandary between organizational focus and current social media strategies based on popular trends. Brian work identifies the the delta that exists between them and how to bridge the gap by walking through the 6 Stages of Social Business Evolution and the 7 Success Factors of Social Business Strategy. Meet Generation C, a connected group of customers who are not defined by age but instead by the digital lifestyle they live. With the onslaught of disruptive technology, consumer behavior and ultimately decision-making is changing. There is a coming “C” change in consumerism where the “C” represents the more connected, agile, and discerning customer as well as the need for an adaptive culture in your organization. Not only is a new breed of consumerism taking shape, the customers and popular culture you once knew and modeled your business around are simultaneously decreasing in size and impact. At the same time, this evolution is giving rise to something so completely foreign, so completely counter intuitive, that it almost seems surreal and somewhat temporary. But on the contrary, this C change requires all hands on deck as it requires a completely new course. An analysis of the new roles that today’s connected consumer plays in our society and our markets and how businesses must modernize every facet of their business to directly connect value and purpose to the 5th, 6th, and 7th P of the marketing mix, people, purpose, and promise. In the new Web, no brand is an island. If attention is engaged where it is focused, businesses are presented with new touchpoints and also new opportunities for commerce. The new era of Syndicated Commerce helps businesses leverage existing and new media and mobile channels to captivate customer attention and convert it into meaningful transactions while portraying a unified front and value proposition. The existing model for customer service is dated. New media channels and customer expectations are forcing businesses out of their paradigms to engage in uncharted territory. Here, Brian reviews new models for customer engagement, metrics for success, and best practices for solving problems and steering positive experiences. Today brands are not created, they’re co-created by the experiences customers share through social and mobile networks. 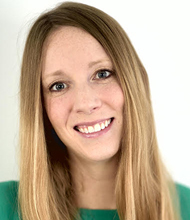 Collectively, these shared experiences from a brand perception that influences decisions and without direction or engagement, connected customers will rely on the words of peers and experts and not brand-owned marketing material. What works against you also works for you and in this presentation, Brian will show how shared experiences come together, influence decisions and how businesses can learn from them to not just react, but proactively steer positive experiences to improve relationships and business outcomes. What was once a traditional funnel is now far more elaborate. Generation-C doesn’t follow a linear path, instead their steps form a elliptical path that opens up new touchpoints for direct engagement…the new Moments of Truth. 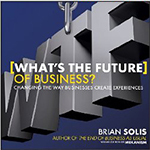 In his latest book, What’s the Future of Business, Solis introduced the Ultimate Moment of Truth, that moment where people who convert an experience into discoverable content in any one of the countless social platforms people use to stay connected these days. And in this connected economy, the Ultimate Moment of Truth, or UMOT, becomes the next person’s Zero Moment of Truth, over and over again. Big data is just that…it’s big. While the profusion of information today can lead to analysis paralysis, by listening with intent, organizations can tune-in the signals that will lead to opportunities to win in this new era connected consumerism. This is about innovation—inside and out. Data is just the beginning though. Data must always tell a story and that takes a human touch to extract data, surface trends, and translate them into actionable insights across the entire organization.By activating the Human Algorithm, organizations can become more adaptive and responsive, develop better products and services, improve collaboration internally and externally, and inform more effective and engaging strategies and programs. Smart businesses invest in the creation of aspirational or relatable brands. Now though, what people experience and in turn share contributes to the brand. As trust in businesses goes down and trust in peers rises, what people think and share in social networks, review sites and communities and publish online creates a new searchable and influential index that people rely upon to make decisions in every Moment of Truth. The brand as you define it and the cumulative experiences of others creates an Experience Divide. Brian will share how to uncover the divide and how to employ positive reinforcement programs to promote the sharing of positive customer experiences in their respective channels of influence. Hybrid Theory is the fusion of marketing, communications, and advertising to humanize campaigns in what’s called “The Last Mile.” Hybrid Theory shifts marketing from a campaign model to an going “continuum” approach that brings stories to life through direct engagement between brands and consumers. It adds a human connection to “social objects” to spark work of mouth, validate relationships, and empower communities. In social networks, we are no longer competing for friends and followers, we are competing for the moment in order to earn mind share. If social objects are the future of marketing and attention spans are further thinning, how can we introduce catalysts for conversation that stay alive in social streams long enough to cause action and response. R.R.S. is the key. NPS helps businesses understand whether or not customers would refer their product to friends and family. But “would you” doesn’t tell me whether or not they did or did not. While useful, businesses need to measure the Experience Divide to accurately measure the gap between brand promise and customer experience. What people experience is defined in the Second Moment of Truth, but what they share with other like-minded peers creates the Ultimate Moment of Truth. Not only can you understand what people experience and share, you can measure the disconnect in your product design. marketing and service and how to solve it. Depending on the common themes people share, you’ll assess a series of different scores to learn where you are and what to prioritize as your next steps. More often than not, businesses use social media channels for traditional marketing campaigns. Driven by an editorial and engagement calendar, many initiatives are are fact more anti-social than they are social. Social media is about empowerment, engagement, clicks to action, and community. It’s an opportunity to learn, listen, and improve relationships with customers and stakeholders. Brian will review how the best companies are truly social in their social media strategies and how to move forward with a new vision and mission. In social networks, it is the shift from conversations to a thought leading editorial program that place brands on a path to becoming a valuable and undisputed resource within their industry. The new CEO will essentially assume the role of Chief Editorial Officer to turn tweets, status updates, viral videos, and blog posts into social objects that spark conversations, cause action, and earn intellectual leadership. The world is becoming a much smaller place. But even with social media contributing to a globally connected society, businesses that continue to take a global approach to social content and engagement may be missing opportunities for greater resonance and relevance. While a global presence is necessary for any organization hoping to connect with customers around the world, placing reliance on one prevailing strategy is just the beginning. In any web strategy, including social and also mobile media, localization is king. New services are ranking the stature of connected consumers based on their activity within social networks. As a result, a social customer hierarchy is emerging where organizations can identify and prioritize relevant authorities and customers based on status, experience, and interests to personalize engagement. Additionally, businesses can design influencer and advocacy initiatives through strategic alliances, ambassador programs, and advocacy campaigns that influence the perception and decisions of peers through a one-to-one-to-many approach. Brian will walk through how to develop effective influencer and advocacy strategies. Content Context is now king. Social Networks have evolved from a parallel friend/follower archetype to a hierarchical top-down network where individuals not only connect with those they know, but also with those they want to know based on themes and interests. We are entering an era of contextual networks or nicheworks or which creates an incredibly valuable “interest graph” of human connections. 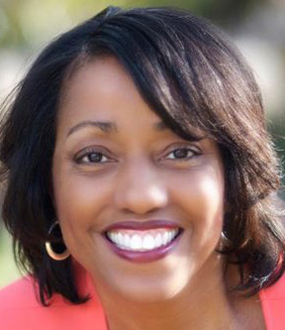 Studying these nicheworks will change how you market your business. Conversations contribute to chatter and as we further compete for attention and relevance, we only get one click to make a lasting impression. Opportunity clicks and businesses must learn how to introduce clicks to action, how to define the online experience from social to branded domains, and how to measure the activity in order to study how to improve conversion ratios. Disrupt or be disrupted! The difference between innovation and disruption is the affect on behavior and the impact on existing markets. Brian believes that the next 10 years will be fueled by innovation that disrupts thinking, behavior and markets. Here, Brian plays on Clay Christensen’s “Innovator’s Dilemma” to help companies align disruption with problem solving or opportunity creation. Imagine what the next 10 years could look like if we didn’t just pursue ideas but instead relentlessly ventured to solve problems or create opportunities. Innovation begins with an idea on how to improve something that may or may not be broken. It’s driven by a higher purpose. It starts with vision. And it’s empathy that will ultimately provoke the core of your vision as an innovator. Remember that “Kodak moment?” Well, you’re among the last generation to appreciate its true meaning. Now the “Kodak moment” is something students and executives will examine as “that moment when businesses failed to embrace creative destruction to compete for the future.” The key to innovation is to question everything, challenge convention, and relentlessly pursue relevance. To compete for the future starts with investing in a culture that promotes productive thinking, exploration and experimentation. That’s just the beginning however. Executives need to believe that managing teams towards goals is one thing. It is leading people in new directions that surface new opportunities. To do so requires vision, transparency and trust. Innovation is about shifting from a management culture to that of leadership, one where people are empowered to contribute to the destiny of the organization as well as their own. Many technologists, media industrialists, and marketers refer to the current landscape of content consumption as “The Three Screens,” representing mobile, laptop, and televisions. The three screens are the windows of the world, your world, as you are increasingly empowered to take control of the experiences in which you wish to immerse. What was once the water cooler effect, has given way to the social effect. Conversations are taking place around programming, yet the experience is disconnected, requiring multiple devices to view, share, and react. But as this social effect gains in influence, its true opportunity lies in its unification of the three screens and the socialization of broadcast programming. Whether it’s newspapers, television shows, or online mediums and networks, the shift is in how people find, consume, and share information and in turn, form social networks around related content. What eludes publishers is the very thing that can save them. A new model is evolving where publishers can not only survive the evolution, but also thrive in an ecosystem of connecting content with audiences—where they congregate online. In order to succeed, publishers and journalists will be versed in the art and science of online community building. The reinvention of publishing models starts with journalists, where people become the ambassadors for content and the flagship brand they represent. News No Longer Breaks, It Tweets! News no longer breaks, it tweets—with far greater speed, reach, impact, and resonance. How can media properties minimize the information divide, the time between an event and the first official report (as separated by the news spreading on social networks). Additionally, how can news organizations and everyday consumers alike harness new media to cultivate influence and drive new levels of traffic and engagement? The Conversation Prism is a living, breathing representation of Social Media. It can reveal the very people you want to reach, where they participate, and how you can engage We will observe, analyze, dissect, and present the dynamics of conversations, how and where they transpire—becoming digital anthropologists in the process. As conversations are increasingly distributed, everything begins with listening and observing. Doing so, will help you identify exactly where relevant discussions are taking place, as well as their scale and frequency. This dialog can be charted into a targeted social map that’s unique to your brand. The Internet of Things is bigger than we may realize. We are experiencing a shift from a world of inanimate objects and reactive devices to a world where data, intelligence, and computing are distributed, ubiquitous, and networked. Suddenly everything we use in our professional and personal lives can connect to the Internet and our various devices. Data, trends, activities, are not only tracked, they’re meant to help us do things better. Considering the relationship between the Internet, data, and devices, Solis recants Marshall McLuhan’s ominous words, “The more data banks record about each one of us, the less we exist.” Solis’ Human API though represents an opportunity for relationships and technology to be linked by an open source platform…you. The Human API opens up tremendous opportunities to develop devices, apps, and experiences that connect information, people, and aspirations to change behavior. This form of human interface design introduces the potential to create harmony in a world of digital chaos, making sense of noise and information overload to accomplish tangible goals or help people see or do things they didn’t or couldn’t before. A discussion of how the socialization and democratization of online content is transforming our society from the inside out and shaping new digital communities cultures in the process. The digital lifestyle we are learning to lead is overwhelming at times. We are always on. We are not slowing down. Now’s the time to rethink the value of technology to make it work for us instead of it dictating our lives. We must seek not only balance, but significance and meaning to help us become something more than an accidental narcissist. It’s the only way to save a social web that we may be losing. The value we take away from this digital lifestyle must only be surpassed by what we invest in it. That’s for each of us to define. And define it we must. Explores the undercurrent of social economics, namely social currency and social capital. With the advent of the 3Fs (friends, fans and followers), people are learning to expect engagement, praise and audiences. But, our stature in the social web is based on our actions and words. Essentially, your “balance sheet” is available for anyone with a web browser to review, assess, and analyze. Brian shares how to improve your bottom line in a brave new world to earn influence and invest in a meaningful digital legacy. These 5 V’s coalesce differently with each update and produce distinct emotional results based on the measure we apply to our own actions, reactions and inactions. Whether we realize it or if it’s simply a matter of our subconscious seeking attention, inspiration, empathy or any other stimulus, we are compelled to share. Brian explores the digital lifestyle and teaches us how to balance the accidental narcissism with meaningful engagement and community building. Twitter, Facebook Social Feeds, Text Messaging and other digital distractions that define the Statusphere, are captivating and distracting our focus. But, while many argue that it’s decreasing productivity, I say it’s arousing a more active, engaging, and enlightened community of media literate information socialites. Educators must not minimize social networks, they must embrace them in order to captivate their students. The socialization of media is powerful and transformative, but while the technology has democratized information and equalized influence, it is digital anthropology that gives us insight into these newly forming communities and the important behaviors that define them. Brian explores the role of digital anthropology and behavioral economics in the evolution of business, education, arts, and any industry affected by the connected people. Brian Solis is globally recognized as one of the most prominent thought leaders and published authors in new media, and is the author of Engage! and The End of Business as Usual! Discover how user experience design affects your business, and how you can harness its power for meaningful revenue growth. 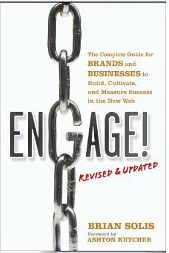 Covering everything you need to know about social media marketing and the rise of the new social consumer, Engage! shows you how to create effective strategies based on proven examples and earn buy-in from your marketing teams. Even better, you’ll learn how to measure success and ROI. Today, no business can afford to ignore the social media revolution. If you’re not using social media to reach out to your customers and the people who influence them, who is?